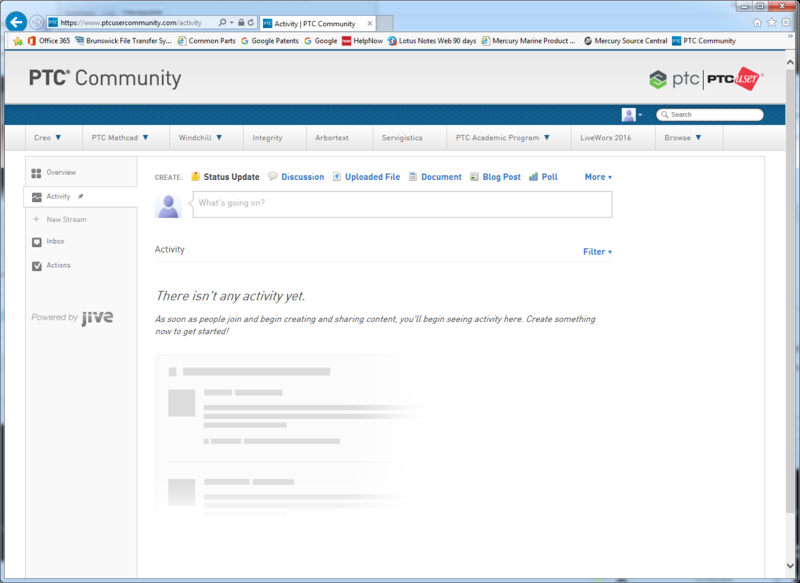 Re: All activity and inbox data for PTC Community Forums missing? You are not the only one Don. A few of us posted to the community help area. It's not just you. Email also appears to have stopped. 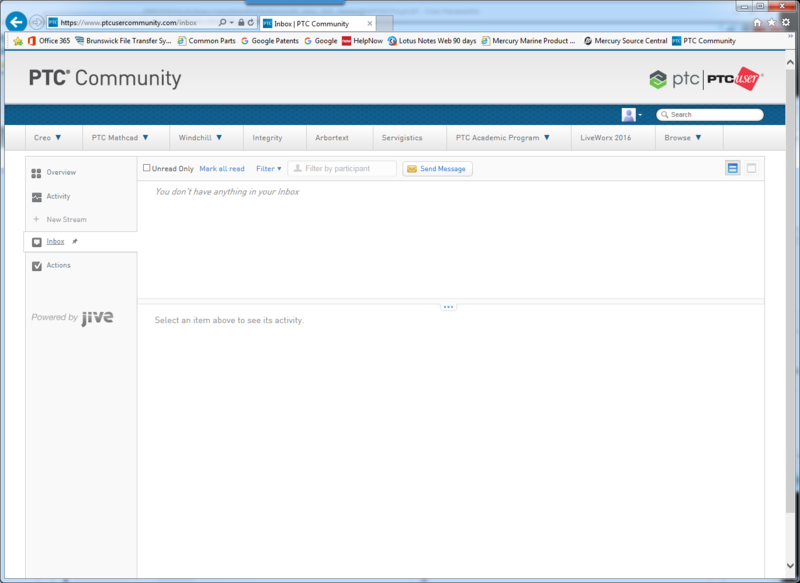 Similar discussion is occurring in the PTC Community Help‌ space. Hi everyone - we are back in business!